Chef Apron. 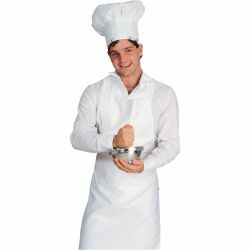 This chef apron has white cotton with ties for neck and waist. A great prop so you can look like a real chef. Add it to our chef hat and you are ready to cook something fabulous!